This summer is off to a bit of a slow start, it has been rainy and kind of depressing, but alas today it was a sunny and beautiful! Hurray! Callie and Brien spent the weekend up fishing and it was just me and little guy for the weekend of rain. Do not fear, we had lots of fun playing trucks and trains and we even squeezed in a thrifting trip. Kellen was not a fan, for the record. He kept saying, "This store is weird mom." I found some fun things, more about that later! So today I finally finished cleaning out my classroom and getting all my affairs in order for summer and we spent the rest of the day shopping for plants and working on our garden and landscaping. I have to say, I am slightly disappointed in how little my dollar stretches when it comes to plants and flowers. I kind of wish we had done a little at a time over the 7 years we have been in our house. But instead we have spent most of our years taking out hideous plants and awful things that I hate, that I have not had time to put in what I really wanted. But now we have a game plan that I am excited about! This summer we have, yet again, a mighty fine list of fun things to do! I am hoping they include lots of camping and time outdoors with the familia. 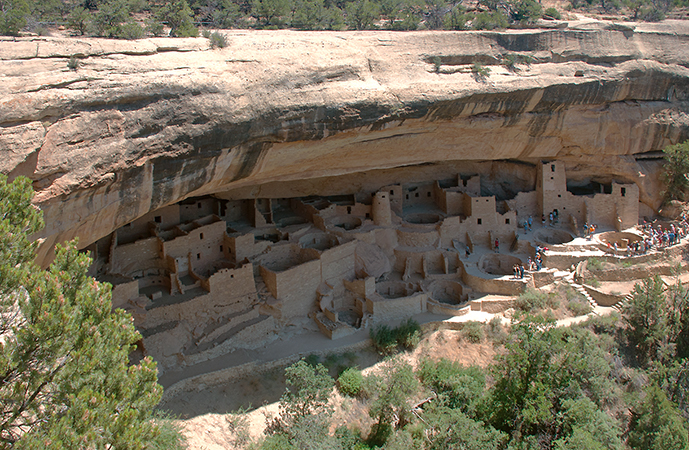 We already have 3 camping trips planned and a real trip to western half of our state to see Mesa Verde, the four corners and the Royal Gorge! Thanks 4th grade Colorado History for inspiring these trips! Yes please! Sometimes I forget what pretty place we live in! Hopefully by the end of the summer, I will have my own amazing pictures to post! Tomorrow we leave bright and early for our first trip of the summer to Canton, Texas. They have the MOST amazing and the biggest market ever once a month and I keep promising to take my mother in law. So that will be commencing this weekend! I can't wait to see what treasures we come home with! More about that next week! Besides our travel, Callie has a notebook filled with ideas for each day of the week, and I excited to try all of them! Stay tuned for more summer fun! That's right we are done! Well not quite all of the way done. I still have 4 million grades to enter and my classroom is a hot mess express, and I am sure that I will be back next week to finish cleaning and getting things packed up for summer. I am just super jazzed that I don't have to move classrooms! After 8 moves in 9 years, I think I have earned it! This year has been all kinds of ups and downs and stress, that I didn't even think about, but we made it! While this wasn't my best year as far as knowing what I am doing and being an organized rock star it was by far, my best year as a teacher! Yay for the last day! The last day of school flew by having so much fun and tricking kids into doing work quietly so I could finish testing and work on report cards! We made the cutest little "reach for the stars" and my students wrote each other encouraging notes! We ended the day signing beach balls and eating popsicles! Thanks pinterest! Then, today, I had a few parents stop by during our work day and drop off cards and sweet words of thank you for working with their kiddos. That's when it hit me! As a middle school teacher, I know our families appreciated the work that we did, but we just didn't have as much contact with them. So this has probably been my most favorite part of being an elementary teacher, is getting to know kids AND their families! So now we are done (well almost, I still have that pesky classroom to clean up) and this chick is ready for summer and 5th grade! I am SO looking forward to getting me and my house back in order and spending the weekend with my little fella, while Callie and Brien are up fishing in the mountains. Hallelujah for summer and making it through! 4 more days, 4 more days 4 more days...Can you tell we are counting down! This week has been a wild one, we went from 80 degree to 30 degrees and snow and this time of years brings back all kinds of feels for me and I am not sure why!?! Just last year, I was anxiously interviewing and a-waiting to find out what I would be doing for a job this year. Be still my heart...How did she get so big?! Aaaannndd 7 years ago we had just bought a house and were praying that all of the "May" showers didn't flood our home before we closed in June! Uggg! What a wreck it was! So. Yes, this week has had all the feels from the past few years! Last week Kellen and I had off since his baby sitter was closed for day and it had me pining away for summer! We ran errands, did crafts, played outside, read books. It was such a tease of a day, nearly impossible to go to the work the next day, kind of day! I cannot wait for this summer, we already have big plans, let me tell you! Jam packed schedule. Callie has already filled her notebook pages with crafts and recipes and field trips for us to do, so I am super jazzed! Perfect, blissful evenings spent in my back yard while the kids play forever, bring it on! Back to our day off! Kellen and I dropped Callie off at school and rushed to the hospital because my little bro and his sweet wife had their baby! That's right! We have a niece and I am not gonna lie, little miss Cara Mae is something else! She has had a rough few first days, but she is home now and is just about the sweetest little thing you ever did see! Callie and Kellen are in love and SO am I! I am quite serious when I say to my sister in law, that I will sit on her couch and hold her baby and eat jelly beans, while her and my brother take naps/showers. I am hoping she takes me up on it, cause I can have Callie work baby holding days into our schedule! So, summer, just hang tight, we will be there in just 4 short days! Mother's day weekend was amazing! Could not have been more perfecto, great weather, fun times with the familia, lots of yummy food, well behaved children. It was truly delightful! Friday night was a super fun hang out and listen to music and dance in the kitchen kind of evening. I don't know why but they are always so much more fun than just sitting around and watching TV kind of nights! Oy Vay! These crazels are my world! This is a game changer folks! We are drowning in dog hair and if I had time I would vacuum every day, but who has that kind of time on their hands? So I spend over an hour every weekend gettin' down with my old hoover. Well, not any more! I have had spotless floors all week thanks to Harry (That's what the kids named him) Best husband and kids ever! They know me better than I know myself. So after we spent an exorbitant amount of time, literally watching the robot vacuum our house, we headed north to the in-laws! It was an amazing time as always. We kind of just lazed around on their amazing wrap around porch and enjoyed the sunshine and warm weather. It was delightful! Kelled rode the lawn mower with Grandpa, Callie was on a mission to catch a turtle, they basically entertained themselves! The boys cooked dinner for their mama and we loved on Grandma Denise. I am truly blessed to call Denise my mother in law. She is an absolutely amazing mom and grandma! It was a long day and a late night before we got home! The next morning the Wood family had nursery duty at church, so not exactly dream team Mother's day morning, but it was super entertaining non the less. PS-- Kellen totally out me to the other lady working in the nursery. He was driving around in those little baby cars and she asked him where he was going and he didn't miss a beat and said, "The liquor store for wine." So I did what any good mom would do and said, "Well, it's not untrue." Oh these babes and their big mouths! Sunday afternoon, more laziness ensued and I just enjoyed enjoyed my babies, while the robot cleaned my house. If only they made some kind of dusting robot and laundry robot I would be set forever! Later that evening my favorite mom came over and we had delicious brinner and enjoyed each other! I love this lady SO very much! She is a total rock star and I wouldn't have it any other way. What kind of mom never misses any event no matter how big or small and is always the loudest one there cheering you on? Why my mother of course! There just really aren't enough words to explain this woman and you really don't appreciate all the things moms do and go through for you until you have kiddos yourself! Thank you Mum for all that you did and do for me and those crazy grand kids of yours. You are so incredibly loved! When will it ever be warm again?!?!?! This Colorado girl needs some warmth! We keep getting these little teases of a warm day and then rain, warm day, snow, warm day, windy day. I need some consistency in my life and I really want to wear some clothes that are not a scarf and cardigan! That's all for now, maybe this time next week, I will get my wish of warm! This last weekend, we had another chapter chat! I heart my girls and I love getting together with them every few weeks. Sometimes we get around to chatting about the book, but mostly we just hang out and that is A-okay with me! It was pretty amazing, I am not going to lie! It's been a spell since I read it, but I know that I finished it in like 3 days, when Kellen was sick and refused to take medicine a few weeks ago. It's the sequel to a book we read a few years ago, The Kitchen House and it picks up many years later with the main character Jamie, who at the end of the first book finds out that his mother is one of the slaves on his family's plantation, after being raised by wealthy his grandmother, and escapes his crazy family and past. The book starts with him being a successful business man living as a white man with no one suspecting his past. Then the plot twists begin. The man who saved him as young boy shows up at his door, with his own son, Pan and asks him to raise him as a servant in his house to keep him safe from slave traders. Well, old Pan decides to go down to the docks one day to buy a parrot to win over his boss and gets himself kidnapped by slave traders. Jamie decides since Pan's father, Henry, saved his life, to go after him back to his old town and enemies there are still out to kill him. The book goes back and forth between past and present and tells all the back stories of the characters and how they came to be where they are since the last book left off. There is lots of drama and controversy and secret things going with the underground railroad and escapes and captures, all the crazy things that you should love in book, this one has got them! So stinkin' good! Since it was Derby day and our books was pretty southern, I decided our food should be pretty southern as well. So here's the crash course and the lessons, I learned! 2. Slice all the rolls in half and brush both sides with a little melted butter. 4. Whip up the cheese sauce! Make a rue by melting the butter and then whisking in the flour, let that cook down for about 2 minutes until it simmers. Then add in the milk/cream and whisk, whisk, whisk. Once it starts to boil removed from heat immediately and add in the cheese. I had a little bit more milk in to smooth the sauce out. Then add in some salt and pepper. 5. Layer the sauce over the sammies. 6. Add on the bacon and then put the bread tops back on. 7. Mix in the garlic, mustard and Worcestershire sauce into the rest of the melted butter and then brush on top of the sliders. Cover with foil and bake for 10 minutes, uncover and bake about 5 minutes longer to crisp up the tops. My tops got super toasty, cause you know we got to talking and I forgot the set the timer. They were SO messy and a little gooey from the cheesy sauce, but they came out alright! So remember when I said I have never made these before, true facts right there. It's because whenever I make hard boiled eggs, I always crack half of them and they just end up an icky mess! Put the eggs in the empty pot. Duh, that way they don't crack, you think I would know these things! Then cover with cold water. Then put it on the stove on high. When the water is at a rolling boil take em off the burner and cover the pot with a lid. Let them finish cooking in the hot, hot water for another 17 minutes. Then rinse with COLD water. That's it. They were amazing! No cracked eggs, the yolk was soft and creamy and the shells practically peeled themselves they came off so easy! The rest you can probably figure out yourself, but you cut the eggs in half and scoop out the yolks and mix in mustard, mayo and vinegar. The fill the egg whites and top with salt and paprika. I forgot to take a picture, but they came out really nice! 2. Lay out the crust in your pie plate and pinch the edges. 3. Evenly pour the pecans and chocolate chips right into the pie crust. 3. Mix up the corn syrup, sugars and beat on the eggs, then add the vanilla. 4. Pour the mixture over the pecans and chocolate. It too got a titch too done, because I decided to take a shower the last 20 minutes it was baking and I didn't hear the timer going off. It was still mighty tasty even with the top being a little crunchy. It was yummy-oh and I will totally make this again, but with a little less cook time! Last but certainly not least, Mint Juleps! I am not a huge Bourbon fan and we actually didn't have any in our house, so Vodka it was! But first you have to make a simple syrup, another cooking experience! When the syrup is cooled, remove the leaves and store in a air tight container! To make the drinks, I just added ice, a few shots of vodka, a few tablespoons of syrup and the limeade into a shaker, then pour over berries into a martini glass and enjoy book club with the girls! Last week, I checked another bucket list item off the list. Callie and I actually went to a yoga class, yes us. The 2 single most uncoordinated girls in the universe got schooled in all things yoga. I have this amazing teammate that goes to these pop up yoga classes that happen all over Denver. They are put on by a non profit group and they host classes throughout the month at different places. I guess she loved it so much she became certified to be an instructor. She invites Callie and I every week to join her and we always have some sort of activity that falls on Tuesdays, but last week we were free as birds to go! Let me preface this by saying, I have NEVER done yoga, in real life. I had a dvd from college that Brien and I tried one night when we were bored, but I think we got like, 10 minutes in and then quit, so goes my experience with the practice. But this time we were all in and y'all it was a game changer! We braved the big city traffic to the museum of nature and science and we did it! The instructor was amazing! He was all about, go at your own pace, do your own thing, if you just want to just lay on the mat and listen to music, go for it! You get noise cancelling headphones, they dim the lights and everyone is closing their eyes, so if you look a hot mess, no one even cares. Now I was on board! There were moms and dads and kids, all kinds of people with all kinds of abilities, so any self consciousness kind of goes out the window. The teacher went a little fast with his "right arm up, left arm back, left leg bent, right leg straight" and didn't quite have time to get the right limbs where they should be, cause I am 33 and I still struggle with left and rights, but other than that Callie and I kept pace! The class, which only lasts about an hour, zoomed by so fast! And afterwards, don't even get me started...I was energized and relaxed and peaceful at the same time, I can't even explain it. But you know what I explain, how good I slept that night! Like a baby, holy moly! Our maiden voyage into yoga was pretty amazing! You have converted these 2 ladies and we will definitely be going back this week!